Good To Begin Well, Better To End Well: Cover Reveal for Timespell: Perilous Waters!!! 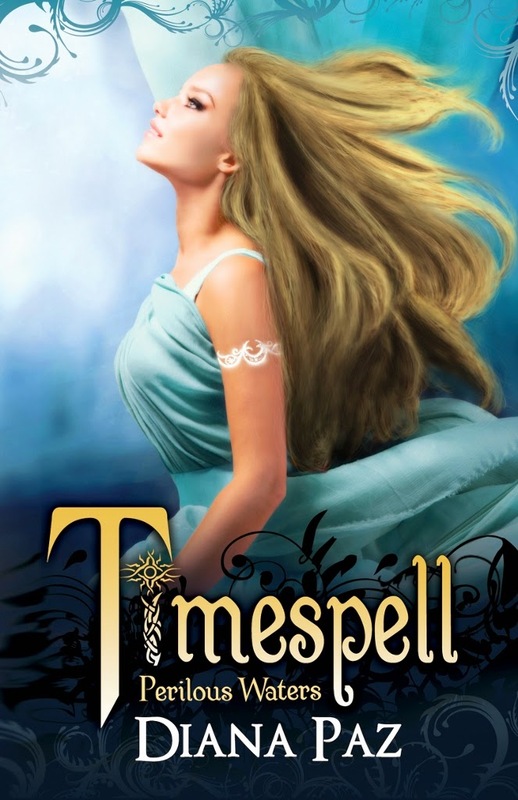 So my fabulous and amazing Critique Partner/Alpha/Beta-Extraordinaire Diana Paz is publishing the second book in her TIMESPELL series May 15th, and I am absolutely THRILLED to be part of her cover reveal today -- TIMESPELL itself was a fantastic blend of timetravel, fantasy, history, and mythology for young adult readers, and I like to think Di's Timespell books are creating readers who will appreciate my FATE OF THE GODS series a few years down the line! And if that doesn't sell you, here is the FANTABULOUS cover art for TIMESPELL: PERILOUS WATERS!